1st grade • 2nd grade • 3rd grade • 4th grade • Back to School • FREE Printables • Kindergarten • Kindergarten Math • Math • Math Misc. 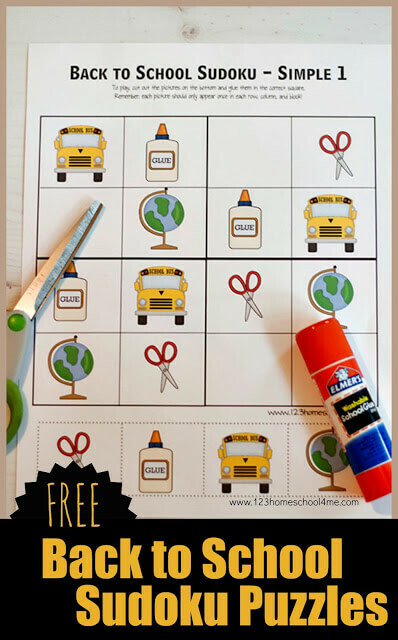 Your kids will love these free printable Back to School worksheets! These Sudoku puzzles are a fun way for kids to do some problems solving with a fun, back-to-school theme. These are great for Preschool, Kindergarten, 1st grade, 2nd grade, 3rd grade, and 4th grade students. Kids love themed activities and right now is the time for BACK TO SCHOOL! These super cute and engaging Sudoku Puzzles are lots of fun and great for practicing some problem solving skills in a kid appealing way! 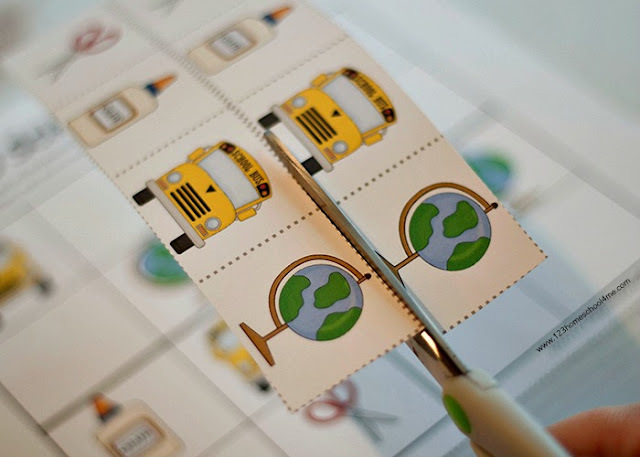 Students can either cut and paste the puzzles for a one-time-use OR you can print on cardstock and/or laminate to be used over and over again; perfect for math centers.